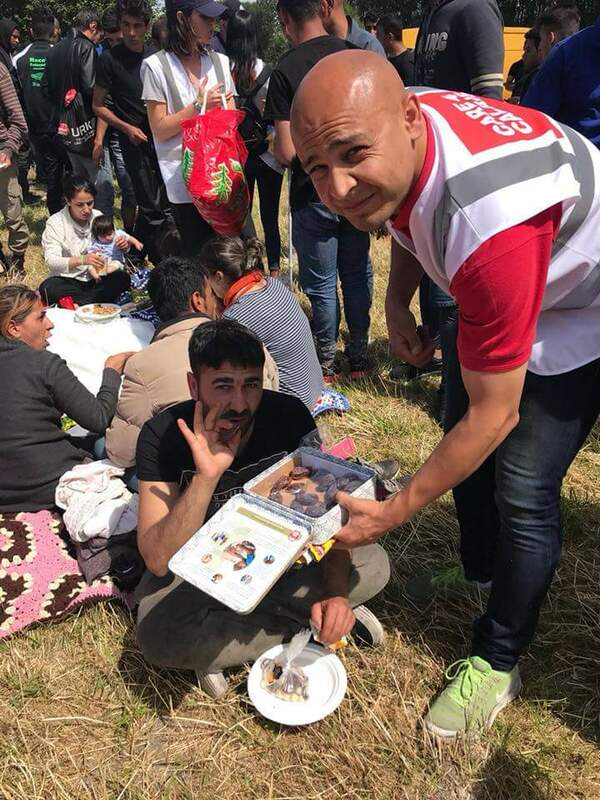 Today we had a fantastic #GreatGetTogether with the refugees in Dunkirk and our fabulous volunteers who have been working super hard the past week. So great to see everyone show we have #MoreInCommon and celebrate the memory of the wonderful Jo Cox. Many thanks for the lovely cakes donated by @Carlisle Refugee Action, enjoyed with tea and coke. It was great to see the volunteers relax for once playing music, football and tennis with the refugees. A lovely day in the sun!